Every journey starts with a single step, through, or in my case, a single note. I am Jessica Martin, a 'seasoned' multi-faceted entertainer with a thirty-year career of many twists and turns. I have gone from teenage jazz singer, to television impressionist (in the days when light entertainment was at its Saturday night best! 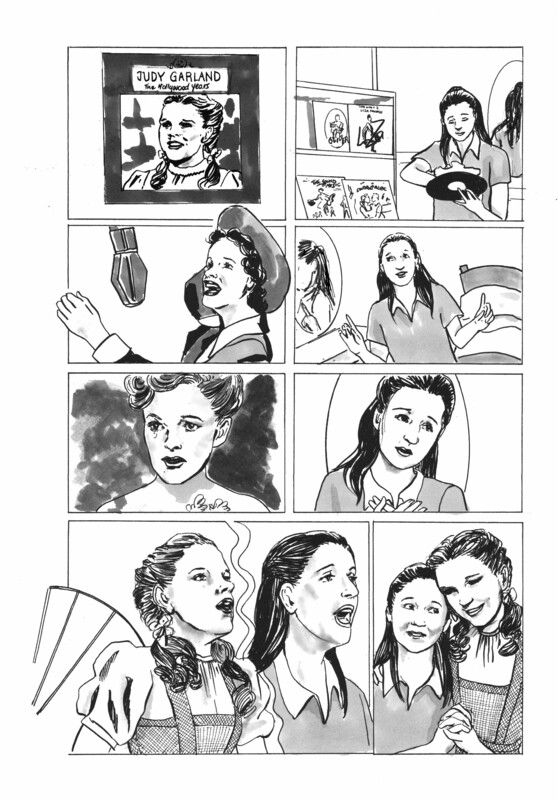 ), to cult Doctor Who guest star, leading West End musical theatre actress and now, in the last four years, a comic creator and published graphic novelist. So I feel that I have, in the words of the great song, definitely lived a life that's full! I was born in 1962 to an Irish mother and Singaporean father who was a successful band leader in 50's Soho, London... long before interracial relationships were par for the course. And this relationship was filled with silences, secrets, and some surprises that shook the very foundations of my childhood. In telling this story, I hope to capture some of the sultry spirit of Soho, and the heat and intensity of standing on a stage, singing your heart out, all from the perspective of someone who has never quite… fit in. It is the story of someone who comes from an unconventional background, where nothing was quite as it seemed, and who would escape into the world of musicals and performance. It is the story of a woman seeking to bring together the strands of living a creative life and having a home and hearth. It is the story of the knocks and setbacks that befall anyone seeking to express themselves fully, and searching for the way to do it. Being a born entertainer I want to create an all-singing, all-dancing, all-drawing book to delight the senses. 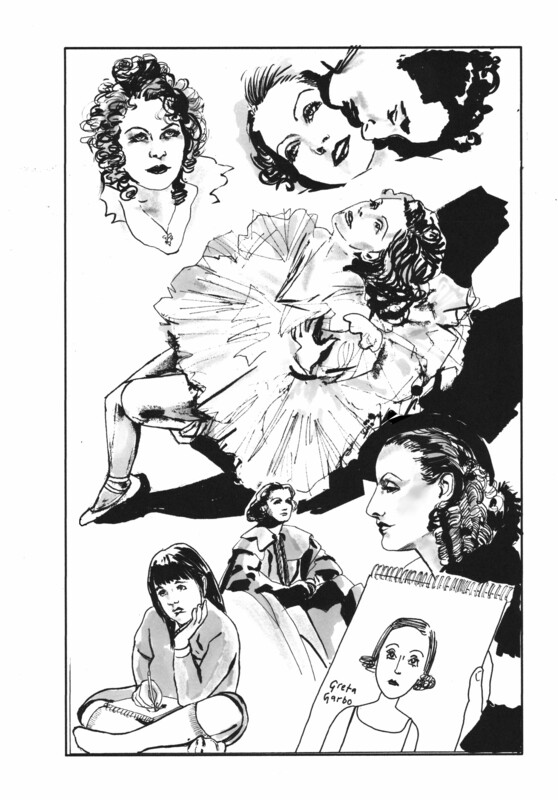 With a cast of diverse characters, and guest appearances from some very recognisable personalities, this graphic novel will be 152 pages paying tribute to a creative life. Jessica Martin has been an entertainer for most of her adult life. She was singing professionally with her father, jazz pianist Ido Martin, from the tender age of sixteen. After graduating from London University with a BA Honours degree in English and Drama she found herself performing on the comedy fringe circuit as an impressionist with the likes of Rory Bremner and Harry Enfield. This quickly led to a successful television career as an impressionist on shows such as “Copycats” and “Spitting Image”. One of Jessica’s proudest moments was performing on the Royal Variety Show as her idol Judy Garland. She also starred in a Doctor Who story portraying an intergalactic werewolf in “The Greatest Show in the Galaxy” with Sylvester McCoy. Jessica crossed over to the world of theatre where she scored great success playing Sally Smith opposite Gary Wilmot in the musical “Me and My Girl” in a two year run at the Adelphi Theatre and UK tour. She has continued to play leading roles in musical theatre and most recently played Mrs Baskin in the UK premiere of “Big” the musical at the Bord Gais Theatre, Dublin and Emily in the West End premiere of “Elf” the musical at the Dominion Theatre. Jessica is now enjoying a new twist in her creative career as a comic writer and artist. Her main themes are film history and stories with a strong female protagonist. 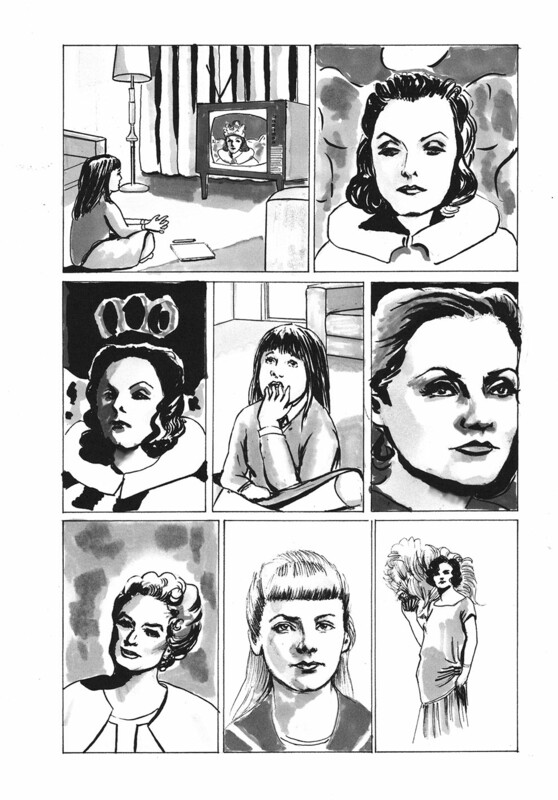 Jessica’s self published comics, “It Girl” based on the life of Clara Bow and “Vivacity” about young Vivien Leigh have been critically acclaimed bestsellers and her first graphic novel “Elsie Harris Picture Palace” set in the Thirties film industry was shortlisted for the Myriad Editions First Graphic Novel Prize 2014 and was published in 2015 by Miwk Publishing. She was nominated for the Breakout Talent category in the Broken Frontier Awards 2015 and selected for the Breakout Talent panel at Glasgow Comic Con 2015. Jessica Martin commented on this blog post. Hello to everyone who has loyally stayed with this voyage around my life! It really is a case of slow and steady wins the race. Welcome also to the new supporters who have come on board recently. Your generous support is much appreciated. I’ve grandly bastardised the title of the classic historical fiction about Michaelangelo battling the Pope and his own inner demons to complete the Sistine Chapel. Whilst my graphic novel is hardly on the same scale, it has certainly filled me with enough challenges, self doubt and external obstacles to make me want to tear down the metaphorical scaffolding and admit defeat. A much overdue update on all that’s been happening. It probably appears as if everything has come to a grinding halt on my memoir. However, events in my professional life will hopefully serve the greater good of making my life story all the more exciting and devoid of cliche. Just over two weeks since I started them and I’ve reached about 65 of my my thumbnail layouts. I’m factoring in a lot of pictorial and historical research as I go and falling into a few rabbit holes to Wonderland. But some treasure be there too, me hearties. Greetings from Plymouth! We’re bringing on the festive season with the musical “Elf” at the Theatre Royal here before we take the show to The Lowry Theatre in Salford for Christmas. This is my third time playing the part of Emily Hobbs.. the stepmom of Buddy the Elf. Needless to say... I love my job!! A hiatus in the ebb and flow of my progress. Apologies for that. There was the family hols in Greece. Won't bore you with that but I will say that Halkidiki is my dream destination should I ever be fortunate enough to be able to take time for a dedicated writing retreat. The sun is shining outside and in my heart! Two days ago we reached 100% funding and today we're at 101% so the exciting adventure continues! The work itself will take quite a few months to complete the book. But there will be regular updates on progress and little vlogs showing how it's all going. Don't worry.. you haven't got rid of me that easily! At the time of this update, I am about to open in the revival of a cult Broadway classic musical "Ballroom" at a bijoux fringe venue in London, Waterloo East Theatre. A new status and a new pledge reward! Sister Pledge. The start of my crowdfunding adventures! These people are helping to fund Life Drawing: A Life Under Lights.